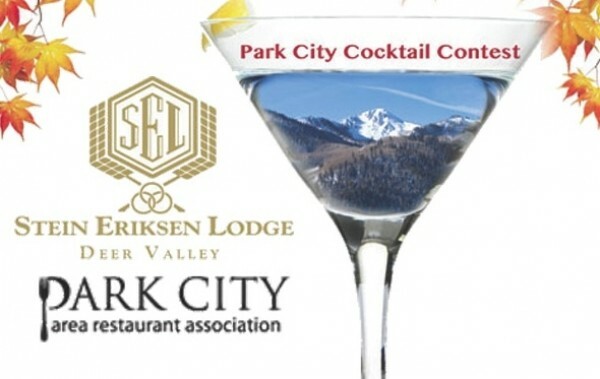 The Park City Area Restaurant Association’s semiannual Park City Cocktail Contest takes place this Friday, Oct. 12, at Deer Valley’s Stein Eriksen Lodge, beginning at 6:30 p.m. As always, the contest is a fundraiser benefiting the People’s Health Clinic. Many of Park City’s best mixologists will be on hand, competing to create unique cocktails, one of which will be crowned Park City’s Signature Cocktail and served in Park City restaurants and bars during the fall and winter 2012-13 season. I’ll be one of the judges for the contest, and the public (21 and over) is invited to attend and sample some of the cocktails. The cost per person is $10, which includes snacks from Stein Eriksen Lodge and the opportunity to vote for the People’s Choice cocktail. This is always a really fun event for an important cause. By the way, if you’d like to stay up at Stein’s for the night, the hotel is featuring special lodging packages and donating 10 percent of the proceeds from lodging to the People’s Health Clinic. Salt Lake Community College has received a fairly rare seven-year accreditation from the American Culinary Federation Education Foundation (ACFEF), the educational branch of the sole U.S. organization certifying professional culinary-arts students. In achieving this honor, SLCC becomes one of only 47 culinary programs nationwide to achieve that exemplary status. SLCC’s Culinary Institute has been preparing students for professional careers in the culinary field for more than 25 years. Congratulations to Bombay House owner Daniel Shanthakumar, along with his family and crew, on the opening of the third Bombay House location—this one at Jordan Landing (7726 Campus View Drive, West Jordan, 801-282-0777). As with the Salt Lake City and Provo locations, Jordan Landing’s Bombay House features traditional Indian recipes and techniques, including some of the best curries I’ve ever tasted. For more information, visit BombayHouse.com.